Do you want to enjoy the greatest collection of retro video games 8 Retro Gaming Gadgets For Geeks 8 Retro Gaming Gadgets For Geeks Retro games and the gadgets that go with them are just as likely to thrill and enthrall gamers as the latest Triple-AAA titles. 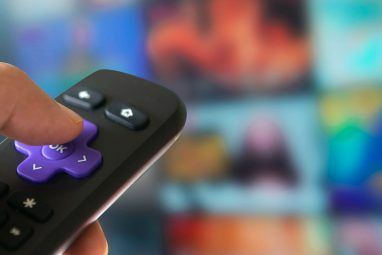 Read More on your TV without the hassle of buying any new hardware? Then you’re in luck, as Kodi can now access and play retro games thanks to the Internet Archive, which has a massive library of titles available. 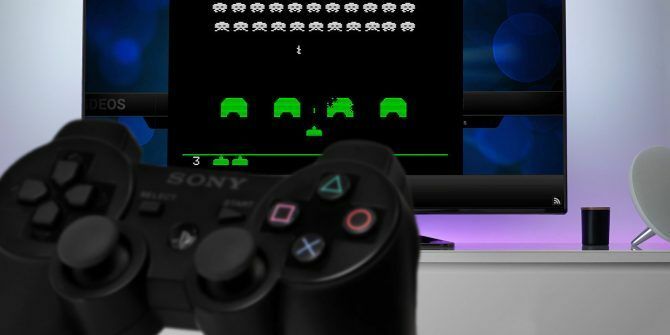 In this article, we explain how get started playing retro games on Kodi using Internet Archive ROM Launcher (IARL). And once you’re all set up, you’ll have so many retro games across multiple platforms at your fingertips you won’t know which one to play first. Over the years, the Internet Archive has been building up a library of retro video games. As you may know, these games have previously been made available to play in a web browser. However, thanks to a dedicated Kodi add-on, they can all now be accessed via your home theater! The MAME Arcade includes games like Outrun and Defender. Each of these libraries (and more) are accessible via your standard web browser. You could head there now, choose a game, and begin playing in seconds. And that’s really the point of this: to install a user interface to the Internet Archive’s retro game library, and enable the games with the relevant emulator. If you’re concerned about the copyright implications of accessing the library, rest assured this has been taken into account. The Internet Archive has been granted a DMCA exemption to help archive vintage software. This is vital, as without it there could be no archival of certain games and software, even by accredited archives. To access these games, you’ll need to install the Internet Archive ROM Launcher, and install an emulation back end. This means you’ll only be able to run these games on systems where you have installation permissions outside of Kodi, and a suitable emulation suite. 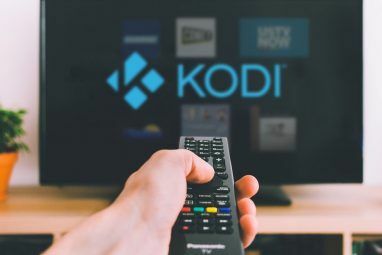 A PC-based Kodi box is ideal, and we have even detailed how to install Kodi on Windows, although it should also run on a Raspberry Pi-based Kodi device. Name the source fusion, then click OK and return to the home screen. Browse to Add-ons, and click the box icon, then Install from ZIP file. Here, select fusion & kodi-repos & english & repository.zachmorris-1.0.0.zip, and wait for the Add-on installed notification. You should now be back in the Add-on browser menu, so click Install from repository, then Zach Morris Add-ons & Video Add-ons and select Internet Archive ROM Launcher. Here, select Install, then wait while the installation completes. Moments later you’ll be able to browse the complete collection of archived ROMs via the main menu Add-ons & Internet Archive ROM Launcher. The best way to get the emulators you’ll need is to install RetroArch. With this installed, you’ll find the most stable emulators for the widest selection of systems. RetroArch is available for Windows (95 and later), Linux, Mac (PowerPC and Intel), Android (check out Android’s best game emulators), iOS, BlackBerry, PS3, PSP, PS Vita, Xbox, Xbox 360, and even the Nintendo Wii (although you will have to hack your Wii with homebrew first), Wii U, 3DS, GameCube, and Raspberry Pi. In essence, you should be able to find a working version for your platform of choice. Once downloaded, install the software as you normally would. Then launch it, and navigate to Online Updater & Core Updater then select the right emulator core for the type of games you want to play. For instance, I wanted to play classic MAME titles, so I selected Arcade (MAME 2000). With RetroArch installed and the suitable emulator cores installed, you’re ready to start gaming. However, some further configuration may be required. Switch back into Kodi and launch the Internet Archive ROM Launcher to find games to play. 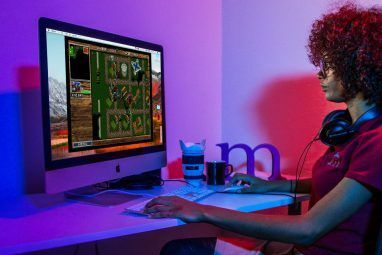 As long as the right emulator is installed, you’ll be able to play games. It’s worth taking your time here, and browsing the corresponding list of games. Before you begin playing, however, return to the upper level of the game index (for instance, Internet Archive Best Of — Arcade) and bring up the context menu. Here, select Update Ext Launcher Command, and choose the right emulator. Click Yes when prompted to update the command, then wait for the changes to be applied. When done, you’re ready to play. Simply click Launch to start playing your retro favorites! The game will open in a RetroArch window over the top of Kodi. Keep an eye out for the instructions, which will tell you not just how to play the game, but also some new keyboard shortcuts. Note, however, that the playability may vary wildly from device to device. For instance, it may be that your usual Kodi remote is absolutely unsuitable for gaming. Keeping this in mind, it’s worth considering an alternative device, such as a game controller or keyboard. With regard to the ROMs themselves, the Internet Archive’s game library isn’t going anywhere. So you don’t need to worry about backing the games up as they should always be available. More importantly, the default setting is that the games are downloaded and then discarded when you download a new one. And no, you can’t save your progress, but this is the same as playing a game in your browser. The only difference being you’re playing retros game in your Kodi media center! So keep it legal, and enjoy. If this has given you a taste for retro gaming, you could always follow this up by making a retro arcade on your PC Make a Retro Arcade on Your PC With Lakka Make a Retro Arcade on Your PC With Lakka Lakka is a retro gaming solution with a Linux foundation that's easy to install and use, yet comprehensive and customizable. Read More . Explore more about: Kodi, Retro Gaming, The Internet Archive.